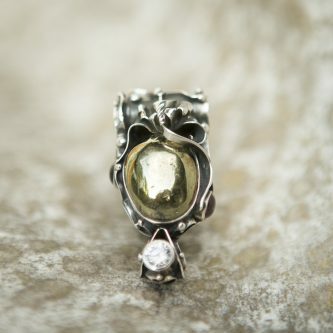 Pyrite is an “end of procrastination” stone. It supports translation of thoughts and ideas into decisions and actions. Amplifying root chakra confidence, it releases fears of decision making, supports balanced communication, and cleans out drama and negative emotional reactions from your energy field. Pyrite’s reflective quality was used by the Inca, Greeks, and Romans to attract beneficial energy and wealth. As an “end-of-procrastination” stone, this little fire dragon is going to help you get things done. If you’re feeling stuck or blocked in your life, Pyrite is the stone to help push you forward. Physically, it helps separate your emotional reaction from your physical symptoms so you can get a clearer diagnosis. It also harmonizes your hormones, heals hot flashes and fevers, and reduces swelling (including menstrual-related symptoms). It draws pain away from the body.